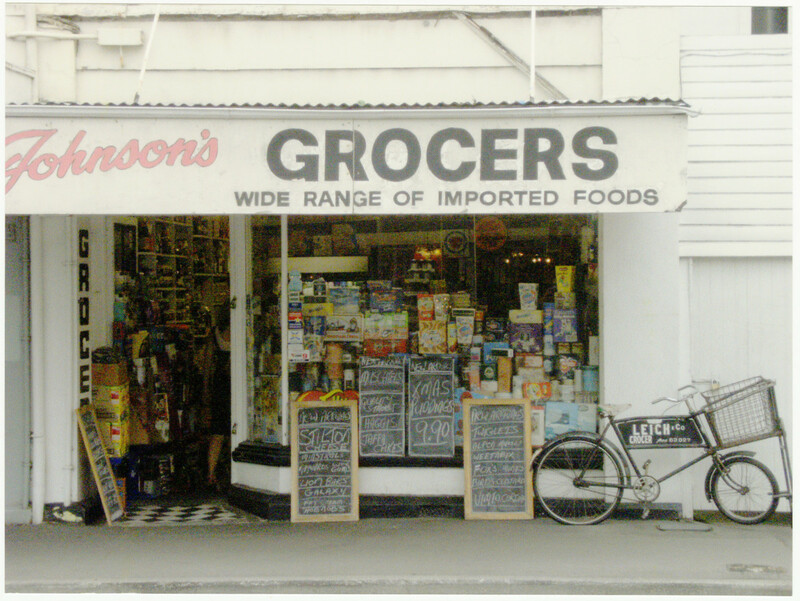 Interior of Stan Jonson's grocer shop, at 787 Colombo Street, an old fashioned style grocery store with goods stored behind a counter. 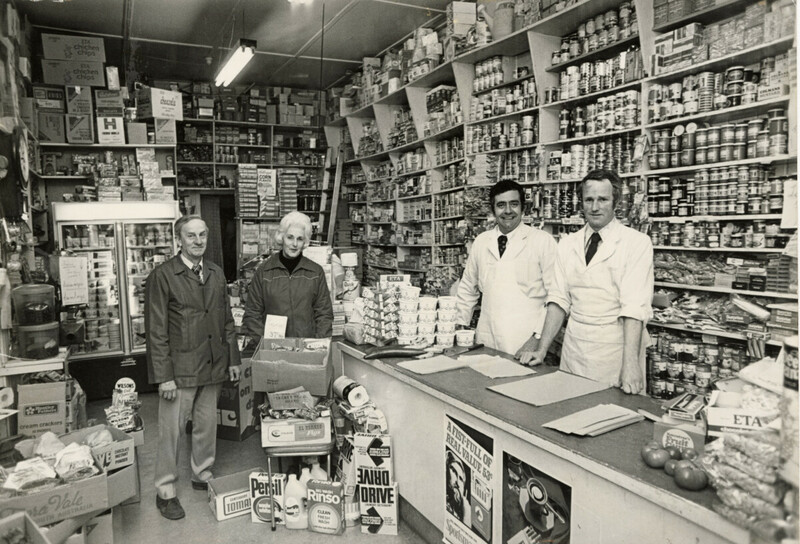 Two employees are stood behind the counter and Stan Johnson, owner and his wife are stood to the left. 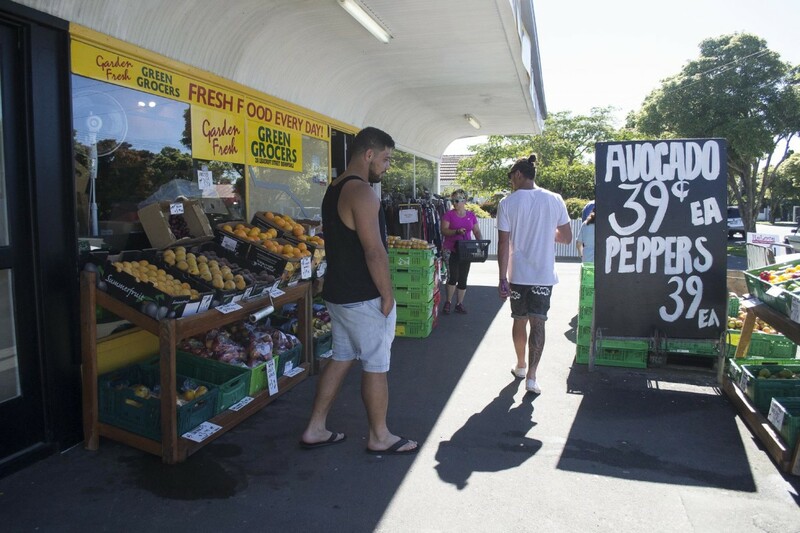 Exterior of Garden Fresh Green Grocers with customers outside at 2 Leacroft Street, Bishopdale. 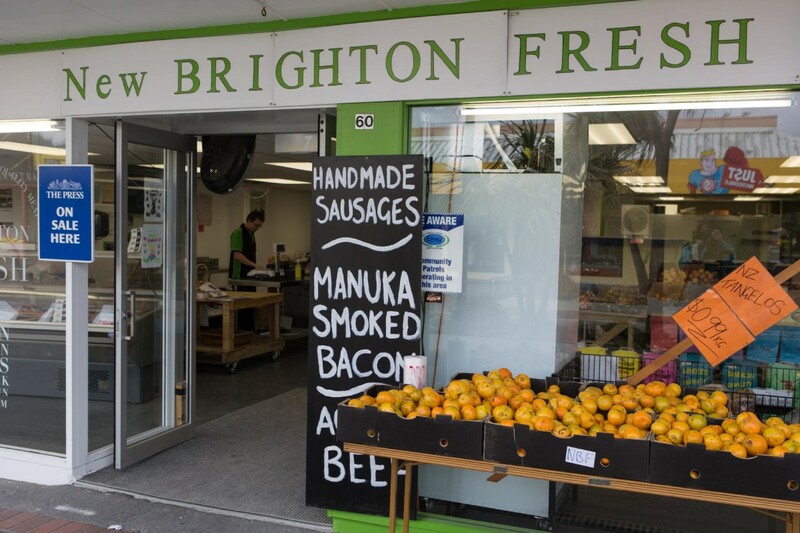 Exterior and entrance to New Brighton Fresh grocery store at New Brighton Mall. 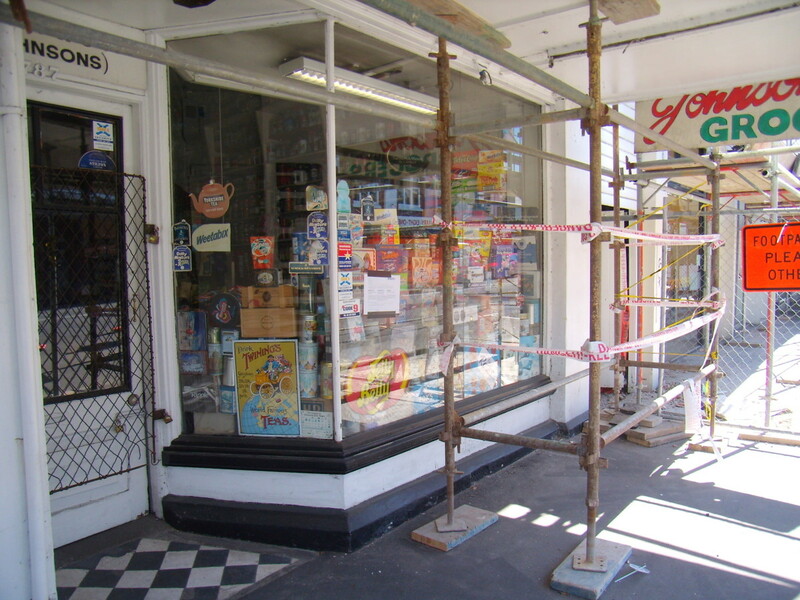 Johnson's wonderful grocer's shop in Colombo St where you could buy nearly anything in the food line. 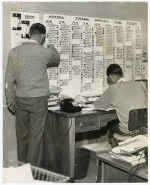 A man examines a dispatch board for I.G.A. 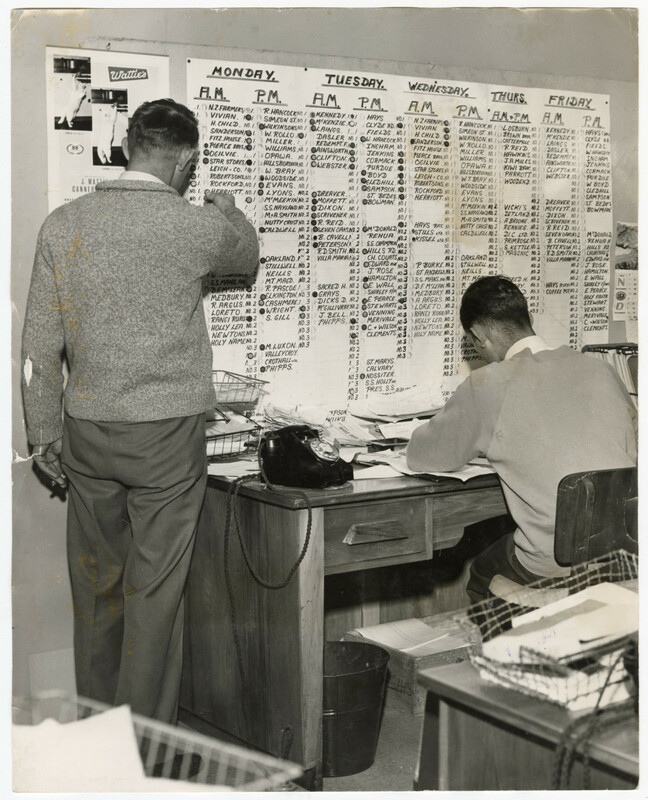 clients, while another man sits at a desk. 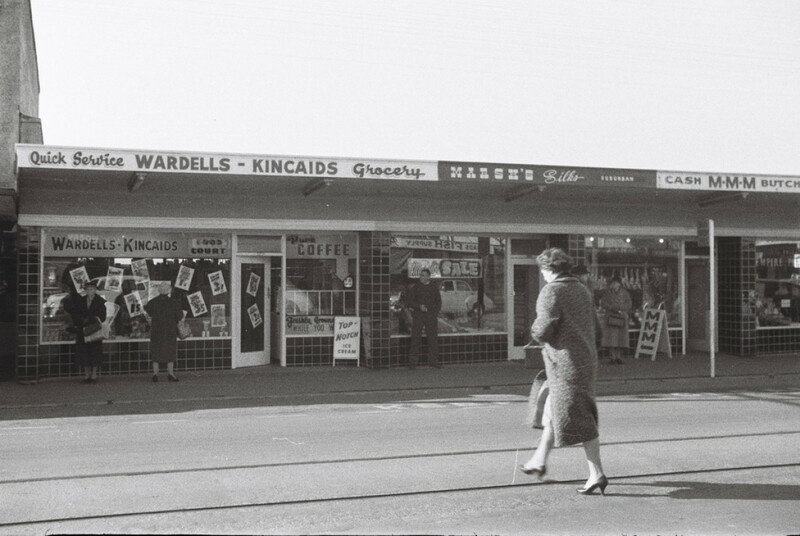 Wardells - Kincaids Grocery, on the eastern side of Papanui Road, Papanui, Christchurch. 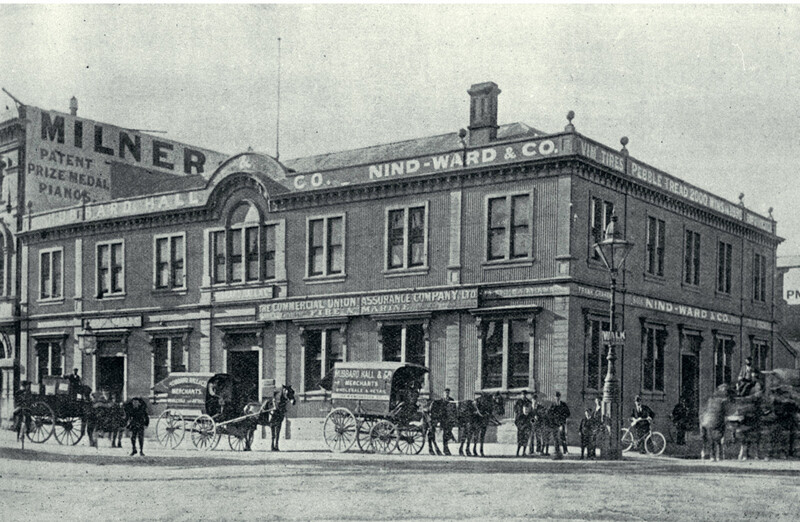 Also shown here are Marsh's Silks and the MMM Butchers. 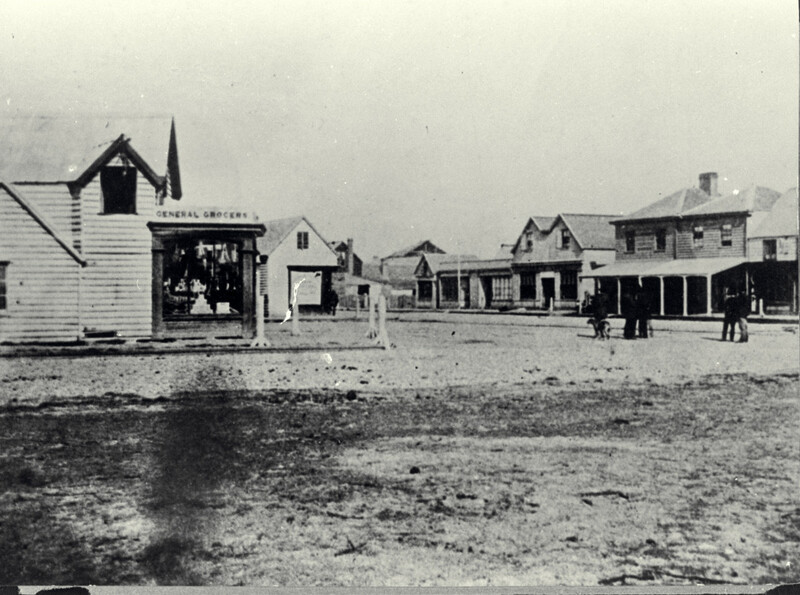 It is interesting to note the care being taken by the lady crossing the Tram Tracks which were laid in 1880. The last Tram service ran in 1954 but a special horse drawn Tram made one last run to Papanui in August 1964 prior to the tracks being lifted.